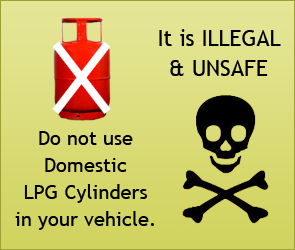 More than 26 million vehicles run on Auto LPG globally, supported by close to 71,000 LPG Filling Stations. Global Auto LPG consumption exceeds 26 Million Tonnes, in comparison to India still at about 0.35 Million Tonnes level. South Korea leads the world in the usage of this clean auto fuel with sales of more than 4 million tonnes annually. 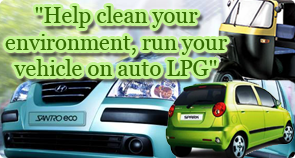 More than 70 countries use Auto LPG in vehicles to help clean their urban air and clean environment. Among the Key nations that have successfully adopted this green fuel for their transportation requirements are South Korea, Turkey, Poland, Japan, Australia, Italy, Mexico, USA, Russia & China. In terms of LPG refuelling infrastructure, there are over 6000 LPG Filling Stations in Poland, over 5000 in Turkey, about 3000 each in Australia, Mexico and more than 2000 stations each in nations like Canada, France, Italy, Japan, Holland and the US. · Tax credits to companies for investment in distribution infrastructure and research and development.